The online payments market is expanding rapidly, and the percentage of internet users who make purchases will reach nearly 50% next year. With each passing day, the security bar is raised, but there are many legitimate concerns that need to be addressed. PayPal is still one of the more popular choices, while many other people look for viable alternatives. E-commerce, internet banking and online shopping sites are popping up worldwide, but which ones are worth your trust? 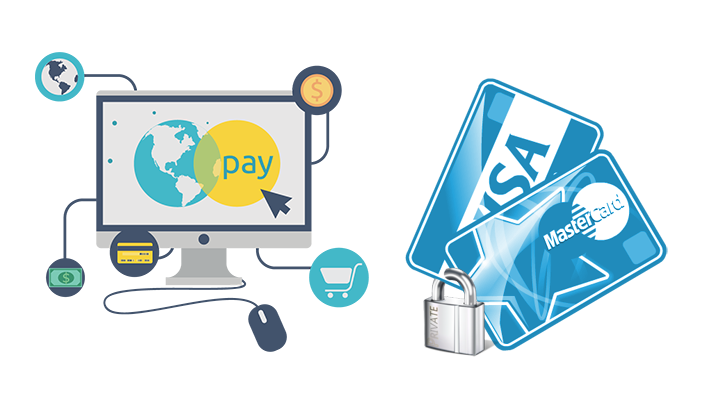 Today, we are writing a detailed Review of Top Six Best Online Payment Gateways for Small Businesses in terms of safety and security measures. One of the most widely used services with millions of transactions each day, PayPal is an obvious choice. Making transfers are nice and easy, and it can be connected with a bank account. There are some cool features like card sweeper and accepting checks via smartphone’s camera. Although not entirely risk-free, this option offers enough built-in security measures like encryption and customer protection. It even rewards hackers who help the company discover new vulnerabilities. Payoneer is a method of sending and receiving money via a preloaded Master Card. There is a small fee for activating it, upon which users are able to pay online, in stores or use an ATM. Many people utilize it for online shopping as a whole lot of currencies are accepted. The security technology is constantly improving, in order to ensure customer privacy and authentication. The good news is that you receive a replacement card to which funds are transferred in case the original one gets lost. Google Wallet is more than just a Google’s version of PayPal. First off, it also includes sublime person-to-person mobile payments and an opportunity to send money with text messages. The latter solution is fairly safe because no other parties receive a secure link. Furthermore, users may choose to own the physical card as well. While experts acknowledge the Google’s commitment to keeping sensitive information away from criminals, others have doubts in their determination to do the same when it comes to advertisers. This one is a safe, efficient and easy system of online transfers which uses Amazon’s API. An account on Amazon Payment, in which payment details and shipping addresses are stored, lets you use a credit card or bank account to buy online around the globe. The company invests a lot of time developing and testing a safe infrastructure, and deploys fraud detection tech. A secure server location is used when logging into an account, which is also a subject to several verification procedures. Another excellent alternative to PayPal, Dwolla certainly has an edge over the competition. Funds can be transferred via phone, email, even social networks like Facebook, Twitter and LinkedIn. Even better, there are no fees for transactions under $10. Moreover, Dwolla’s Grid payment network is built in such a way to prevent transfer delays and frauds. It is a solid system which adheres to industry standards, but also goes an extra mile to protect the customers. Who can say no to a fast, flexible and secure transfer service? A Promise Pay system of payment goes beyond standard credit card transactions and covers multiple other options. Also, the company employs competent fraud and support specialists to make sure things are running smooth. Identity verifications are standard procedures of risk prevention and mitigation. So, Promise Pay is not only a safe bet, but it also alleviates the headaches with convenient money transfer gateways. This surge of digital transactions has significant implications for the modern market, which is always keeping the fingers on the pulse of the customers. However convenient it is to pay with only a few clicks, not everything in the garden is rosy. Transferring money is tied to many risks like having your Credit Card info stolen. What people need is a reliable and efficient service with a global reach, and no one is keen on accepting anything less.